Less than three hour's flight from Sydney lies New Caledonia, a tropical paradise with French flair. 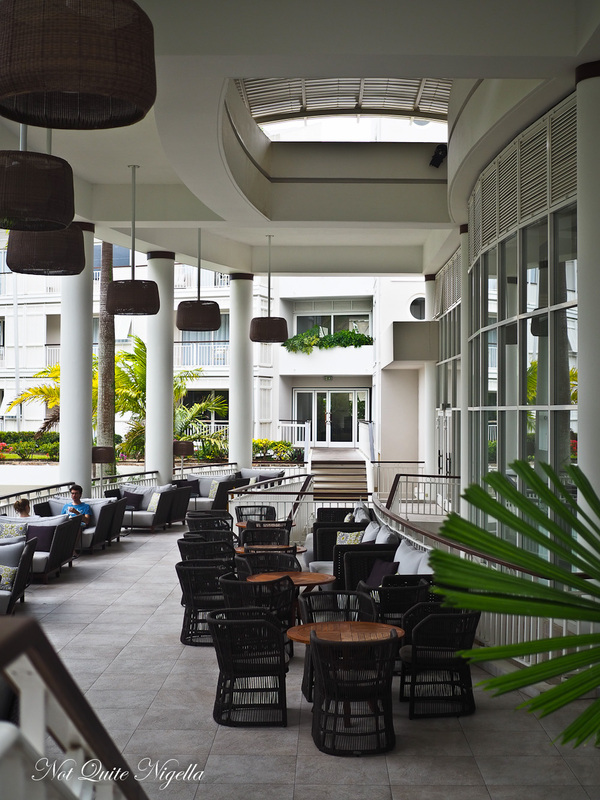 The capital Noumea fuses tropical ingredients with French cooking technique. We take a look at the gastronomic side of this island capital. New Caledonia was first discovered by Captain James Cook - the vista reminded him so much of Caledonia in Scotland that he bestowed it with its name. And from the airport, the mountains are a little less tropical beach and more New Zealand than anything else. 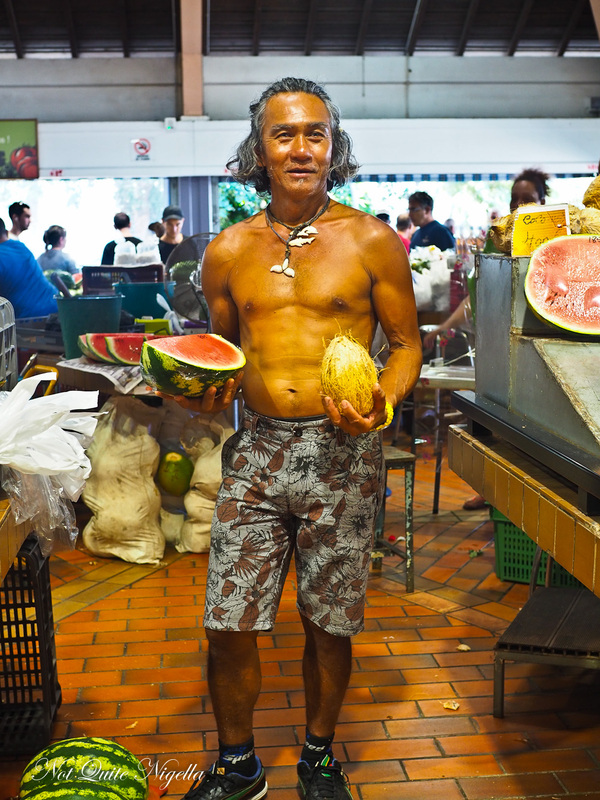 The population of almost 270,000 is made up of a mix of Kanak (indigenous Melanesians) and Caldoches (Europeans) with a significant population of Wallisian, Tahitian, Indonesian and Vietnamese. The food in New Caledonia is a little bit retro, reminiscent of 80's dinner parties and very French. There's a lot of fruit with proteins and dessert-sweet elements on savoury dishes (think madeleines and marshmallows with scallops). A lot of the food can be a little bit heavy for the warm weather. Our first meal is a light dinner. 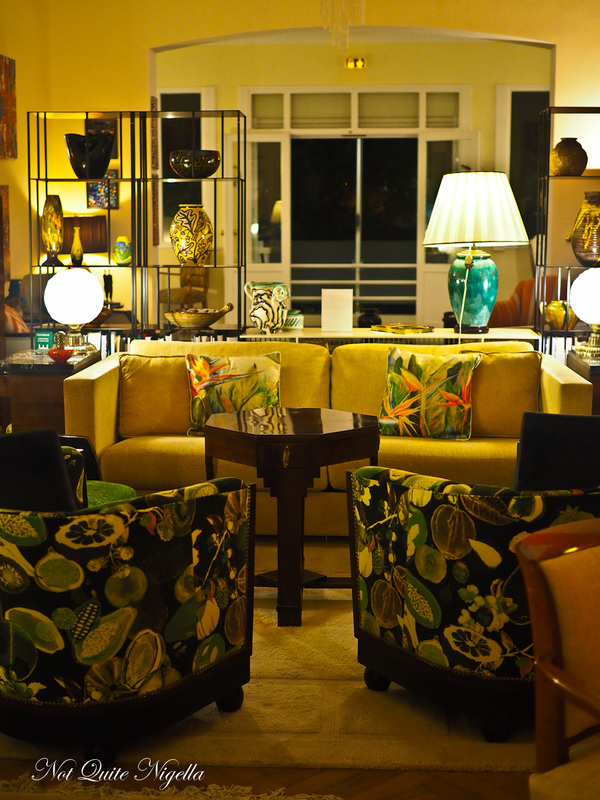 L’Amirauté bar is at first a wine bar but take a closer look and you'll find the life's work and collection of former Merchant Banker Guy Sanchez with beautifully upholstered furniture from Christian Lacroix pieces to a Picasso vase. The night is warm and balmy so we sit outside and sink down in one of the lounges. The wine list is carefully curated with a mix of French, Australian and New Zealand wines. There is also bar food available that consists of pâté and rillettes with cheese. There are three varieties of rillettes: chorizo, black pudding and pork rillettes with Comte cheese as well as grapes and olives. It's a gorgeous place to unwind and they are very good at recommending wines. 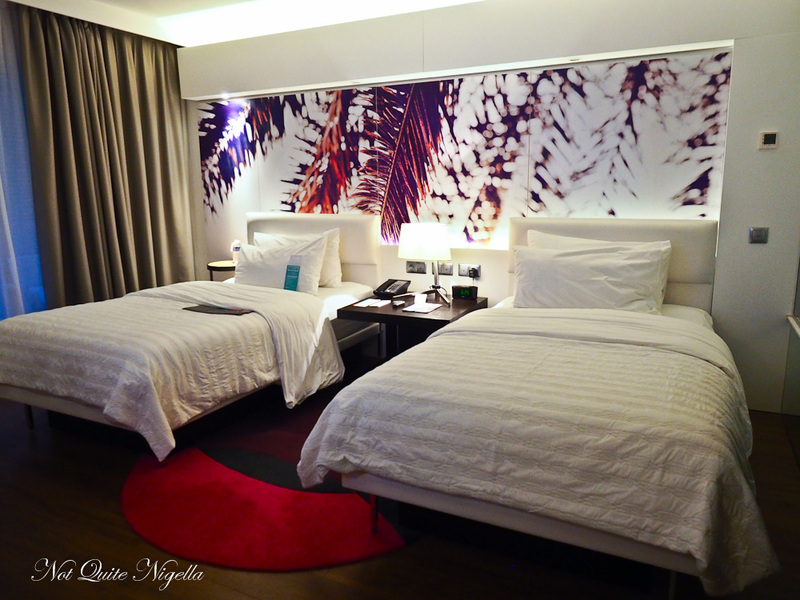 We are staying at the Le Meridien, a glamorous and modern 5 star hotel situated just off the main drag Anse Vata. The rooms are spacious and well appointed. The main bedroom has twin beds and a large desk to work on. There is also a balcony with a table and a small day bed. 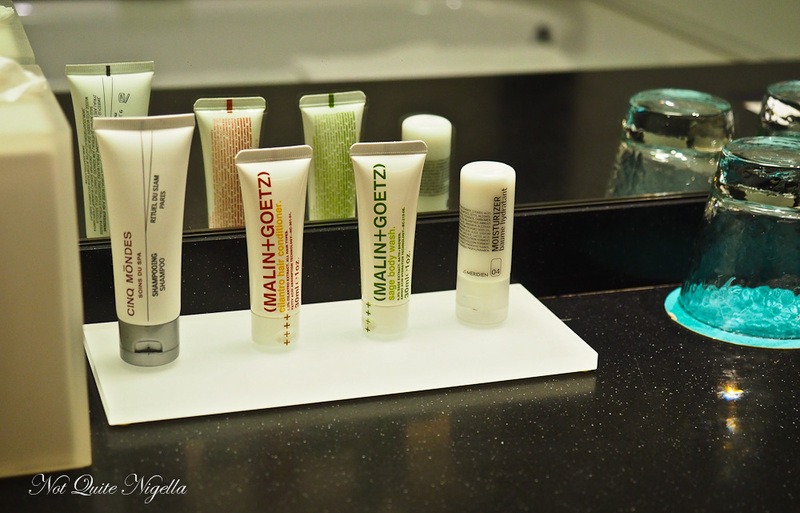 The bathroom is spacious with a separate bath and shower as well as Malin and Goetz products. The bath is perfect for relaxing as it fills quickly and is comfortable to soak in. 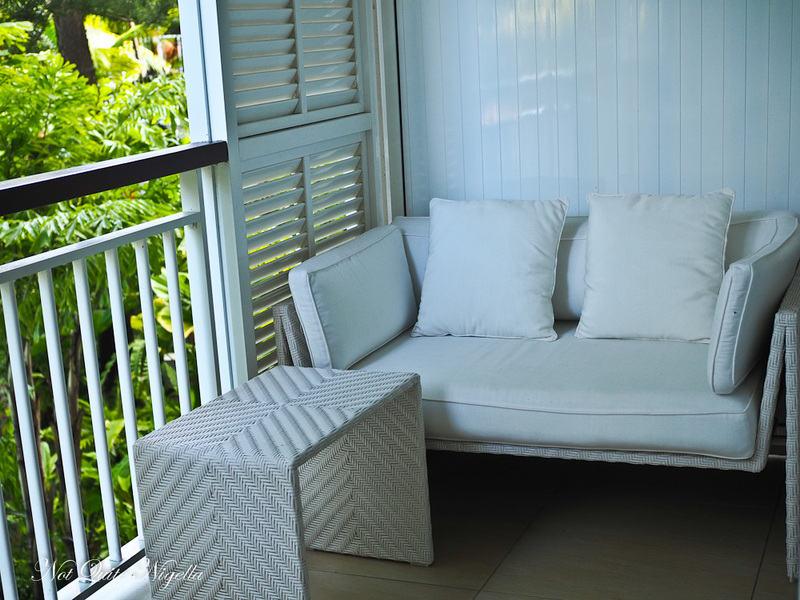 Outside is a cosy private balcony. The bed is comfortable although if you do prefer a king bed over twins pre book this because it can be troublesome to push these together. Also breakfast at the hotel on weekends can be quite chaotic and things like finding plates and glasses can be a challenge. I didn't have enough time to have eggs made to order due to the queue that had formed so I helped myself to the buffet. 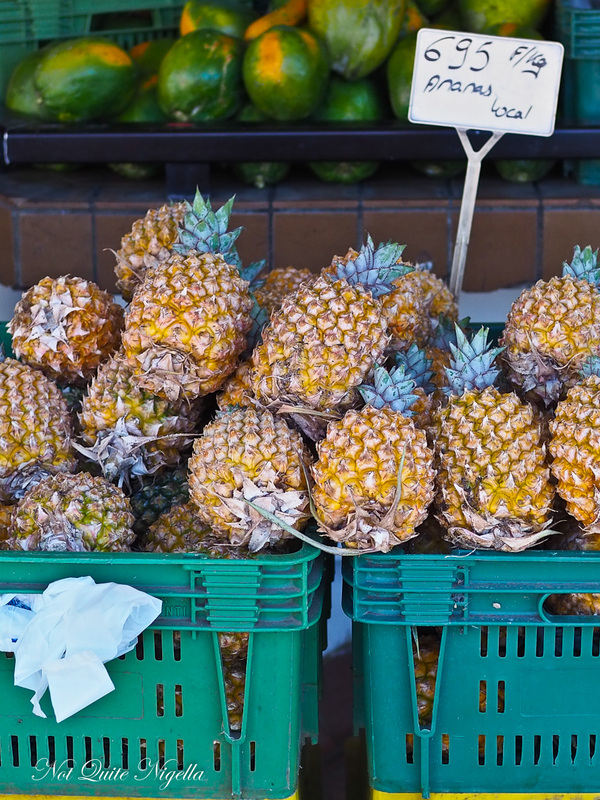 I recommend the pineapple which is very sweet and delicious and the brioche topped with niaouli, a native paperbark tree. 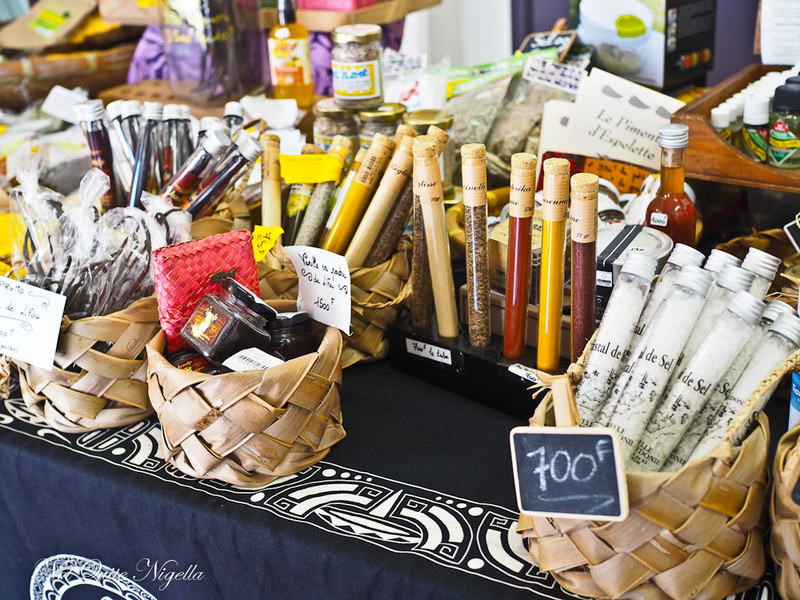 The next day we start with a trip to the main markets of Noumea. 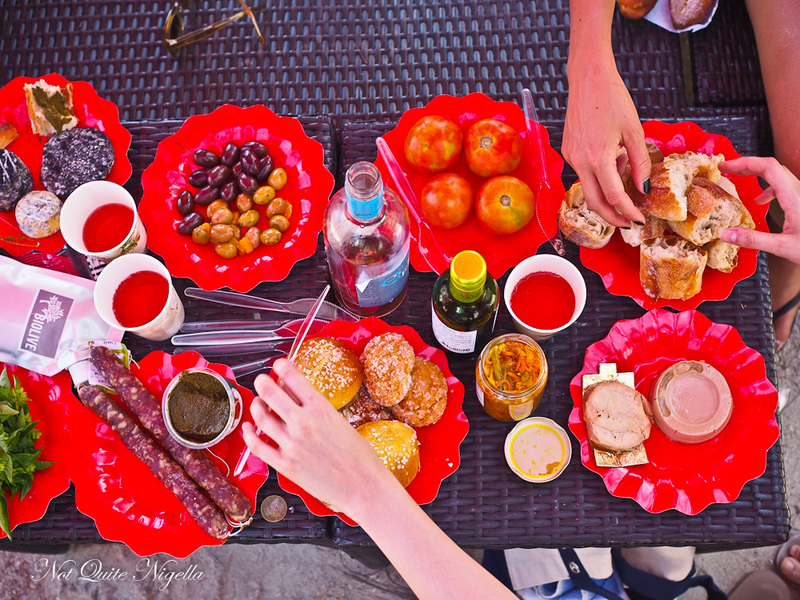 It's a great place to procure provisions for a picnic on one of the neighbouring islands. The market is broken up into permanent undercover vendors in two buildings as well as arts and crafts stalls. There's a range of French and Asian items here, particularly Vietnamese food. 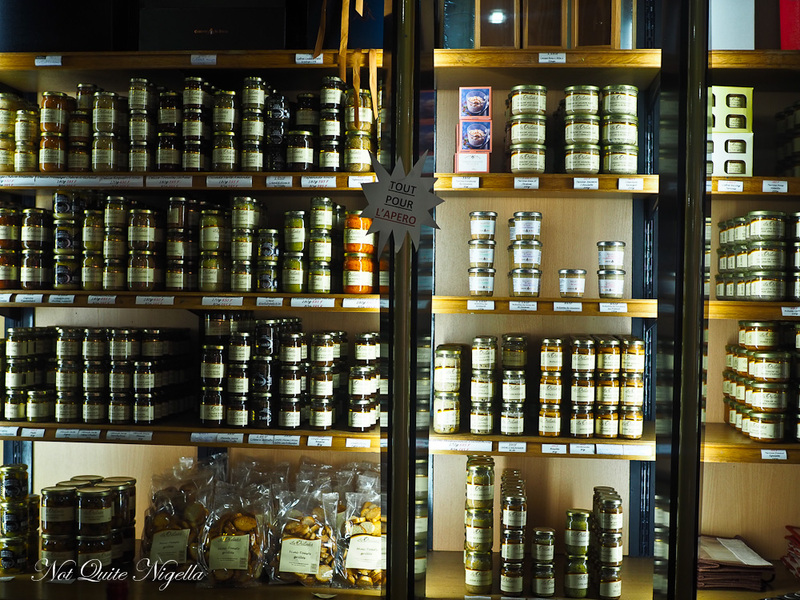 We pass by stalls with a large range of Provencal olives, spreads and condiments. While most cheese is imported from France, there is one cheesemaker who makes cheese with local milk. There are ash rolled soft and firm cheeses and cheese topped with tomato and basil. Another vendor sells wonderful rillettes with pork or wild boar all offered to be sampled-the pimento rillettes is particularly good. 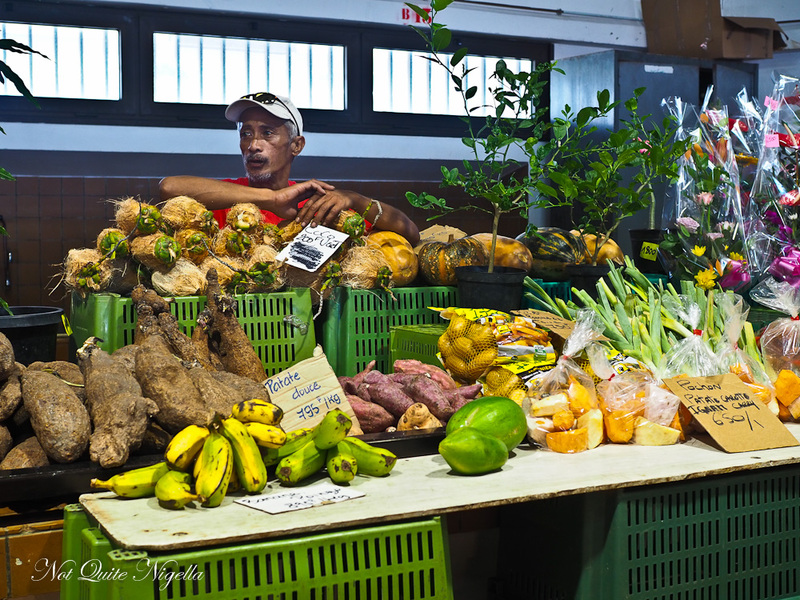 The fresh food market is where you can buy plenty of produce from tropical fruit to vegetables to ready made food. 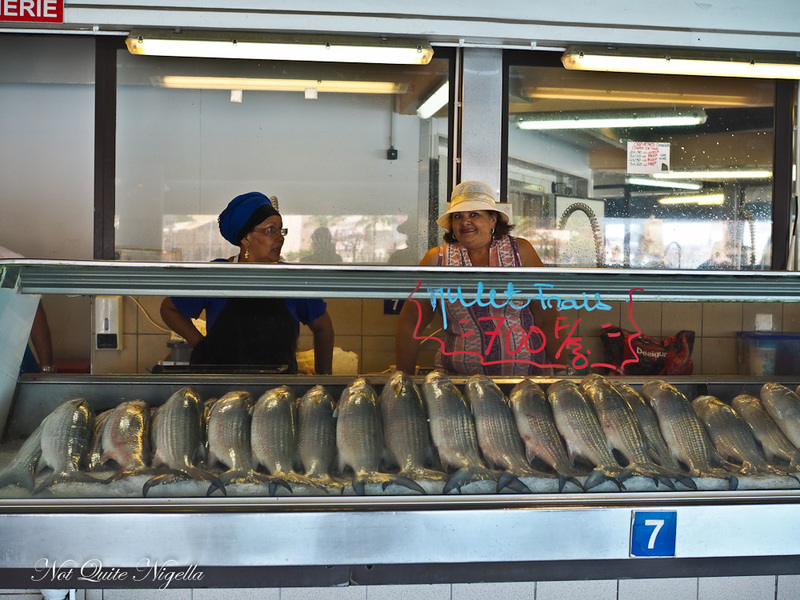 The well ventilated fish market smells fresh and featured obsessively neat displays of fish, seafood and those famous blue prawns or crevettes. We buy achard, a vegetable mix that ends up being one of our faovurite items. 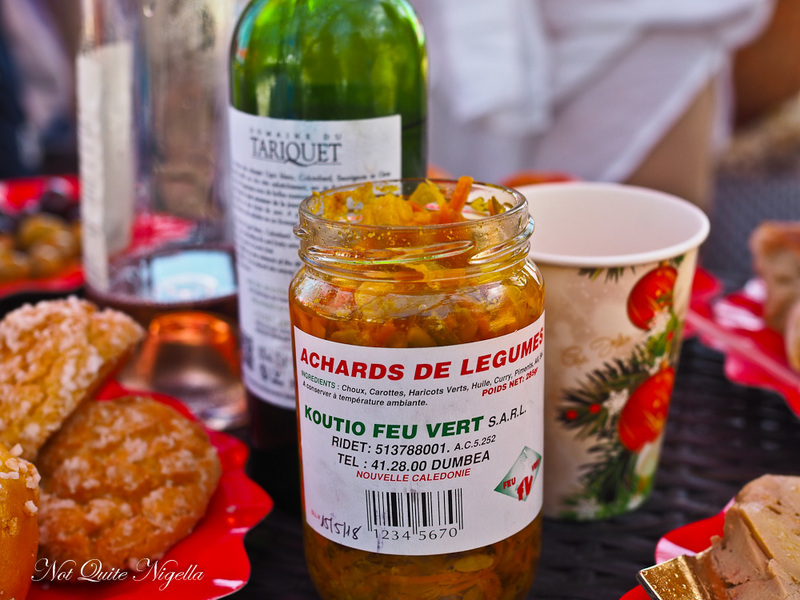 It is sold in a jar for 895CFP (around $10AUD and yes New Caledonia isn't cheap) and is essentially vegetables, oil, curry spices and piment d'esplette. While it appears as though it might be a pickle, it doesn't have a strong vinegary taste at all. For chocolates, Tonton Jules is worth a stop for their exquisite chocolates. 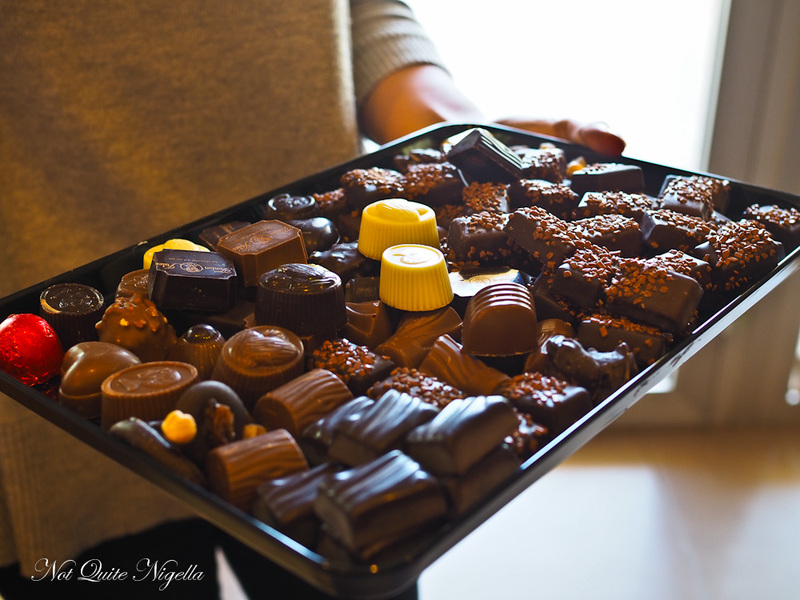 Chances are you'll be greeted with someone bearing a tray of chocolates and offered a complimentary chocolate of your choice. 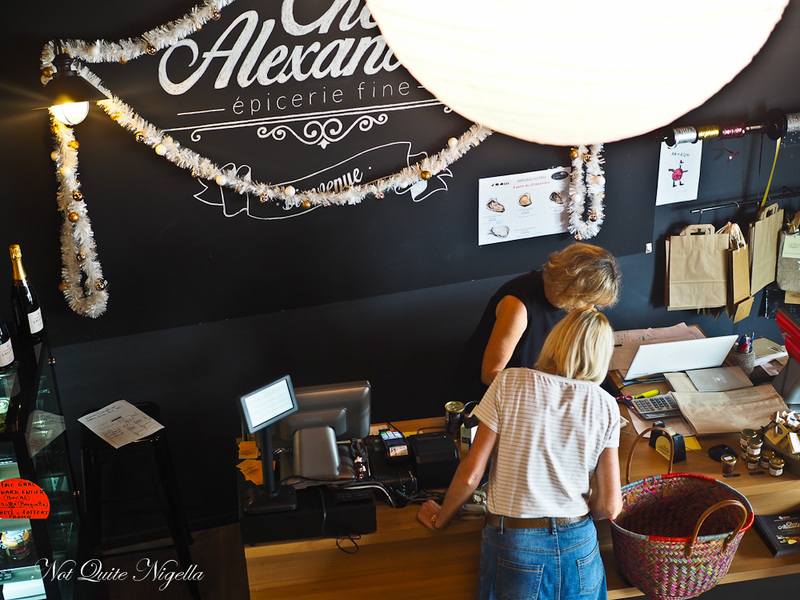 If you've missed the market or need to buy self catering items, Chez Alexandre stocks a wide range of French ingredients from caviar to foie gras, pickles, confit and wines as well as New Caledonian salted caramel rum. There's a quick stop at the Casino aka supermarket for some foie gras and pâté before we make our way to Duck Island for some snorkelling and relaxation. We call a water taxi to the hotel and they pick us up in 15 minutes. The boat ride is a little over 5 minutes to get to Duck Island. Named Iles de Canard, it is named after the many types of birds found (although seagulls seem to be the most predominant species). It is a very small island, taking about 10 minutes to walk around if you stop and pick up shells as I do. 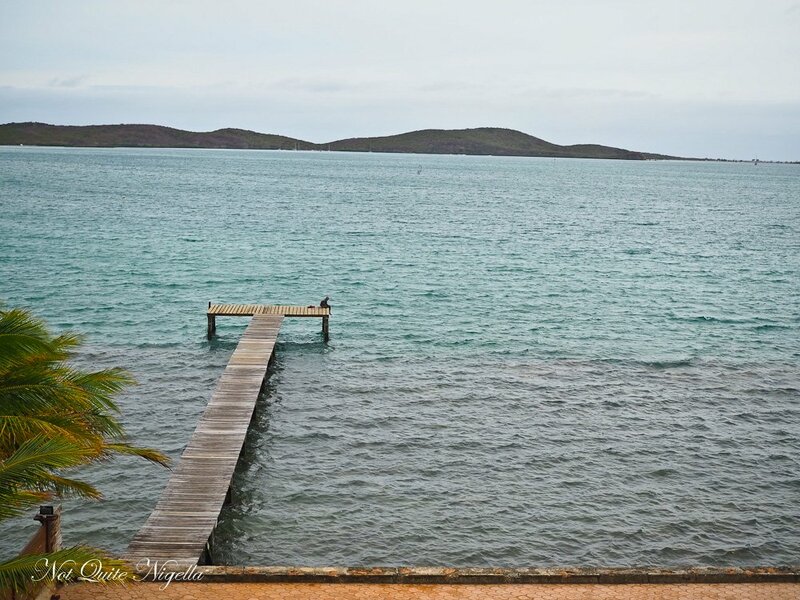 From it you can snorkel, relax and watch the windsurfers. It's a popular spot for cruise ships and the Caledonian population to go on weekends. 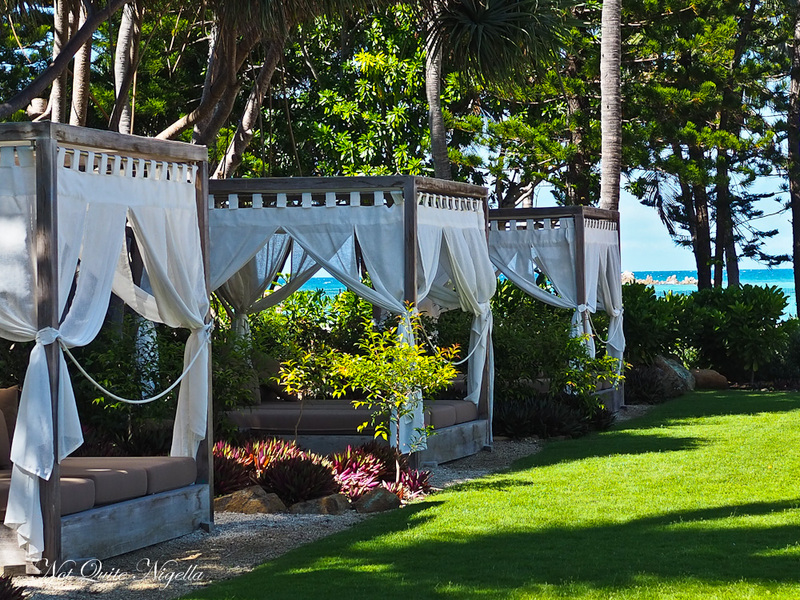 Sun chairs are $42 for two per day and you can also buy drinks at the bar as well as food. But as for us, we've packed ourselves a little picnic which is a popular past time. We spread it out over a couple of tables and tear apart a beautifully fresh baguette. The foie gras and pâté are fantastic with the achard. I can't stop eating that combination. The French style cheese is also deliciously strong. The olives are punchy and we make a tomato, basil and olive oil salad. 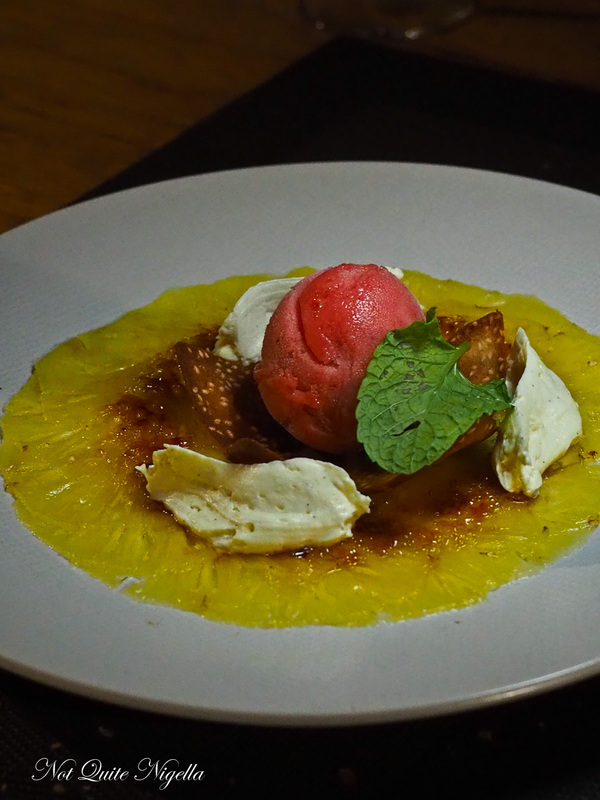 For dessert there are the sweetest pineapple, juicy watermelon and lychees on the stem. 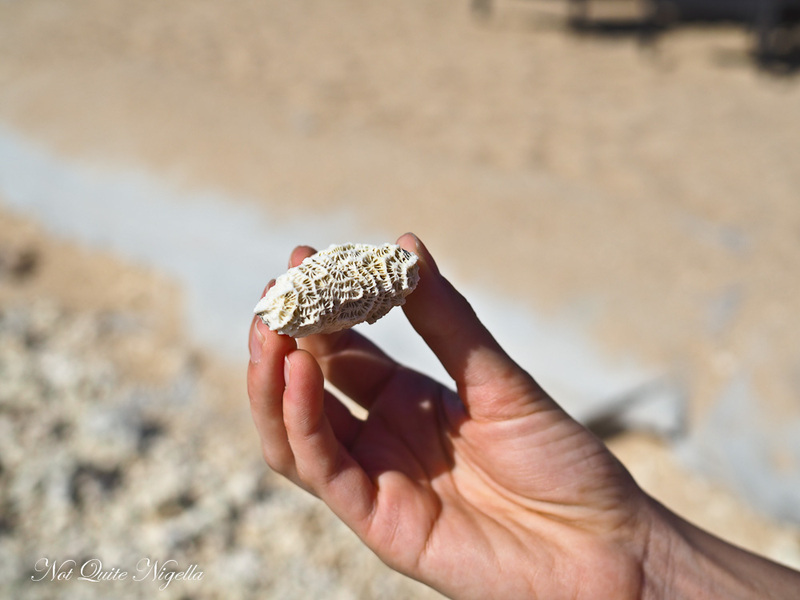 We walk around the beach, watch the wind surfers, snorkel and marvel at the incredible constructs of coral that we find. It gets hot so I buy an icy drink (that comes with wifi) and relax and before we know it, we have to head back to the main island. 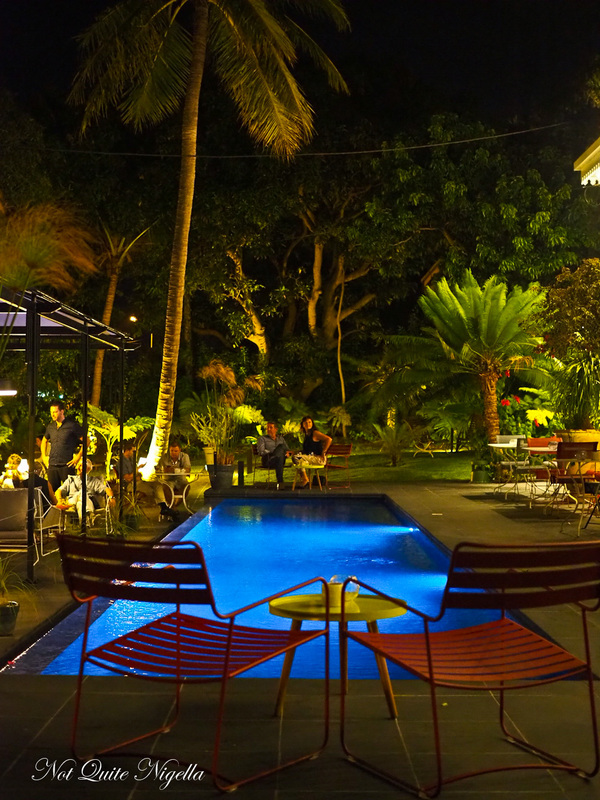 That evening we visit Au Rocher Crêperie, up a steep windy hill tucked away from the bustling neon lights of Anse Vata. It's a very popular creperie and you do need to book. The reason is that there is a superb and long lingering list of crepes to choose from. 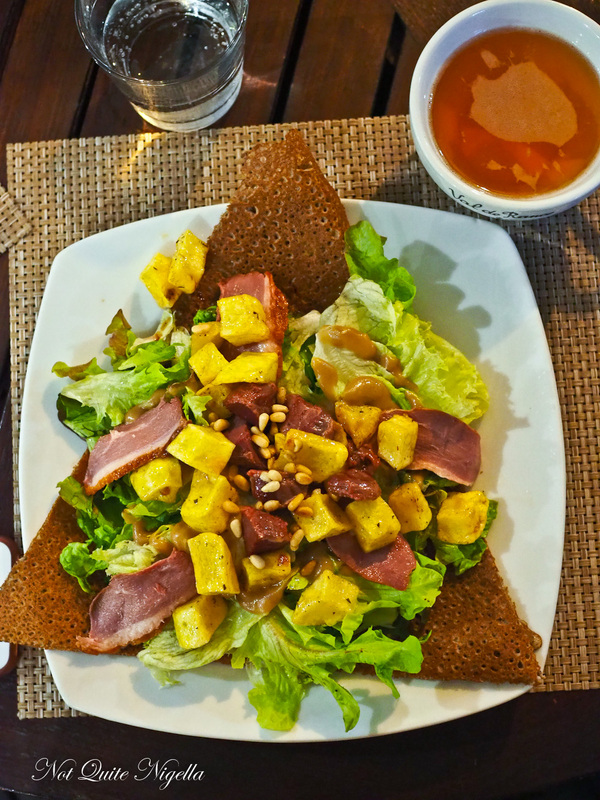 These crepes are a bit more inventive than a typical crepe menu and include ones like boudin noir with apples or a fantastic Landaise duck crepe with duck gizzards, duck breast, potato chunks, pine nuts and French dressing. It's a substantial crepe and absolutely delicious although you can also get more basic crepes like the Complete (ham, cheese and egg). The traditional accompaniment to crepes is a boule of cider. 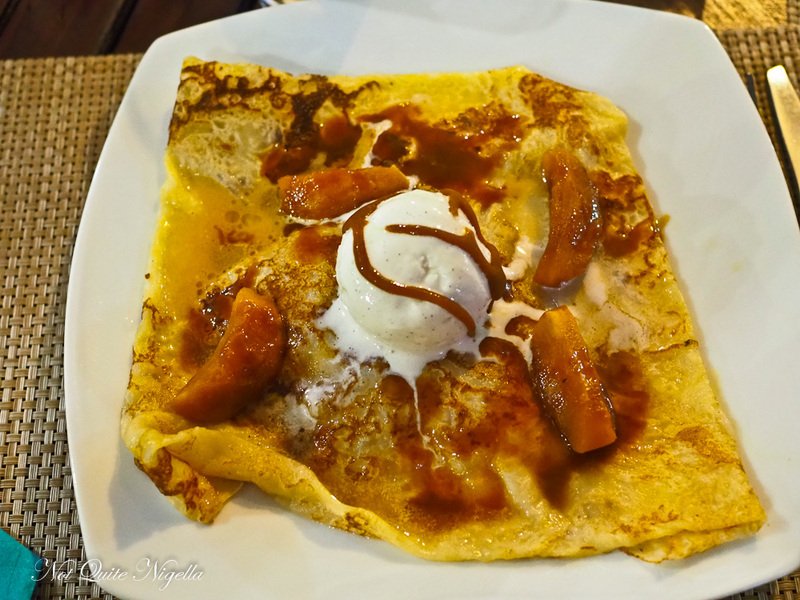 For dessert the tatin crepe is piled high with apple pieces, ice cream and lashings of salted caramel whereas the "Ours Brun" crepe is simple with chestnut puree and creme fraiche. If you are after something more upmarket for a special dinner then dinner at the Le Meridien restaurant L'Hippcampe is a romantic, upscale affair. 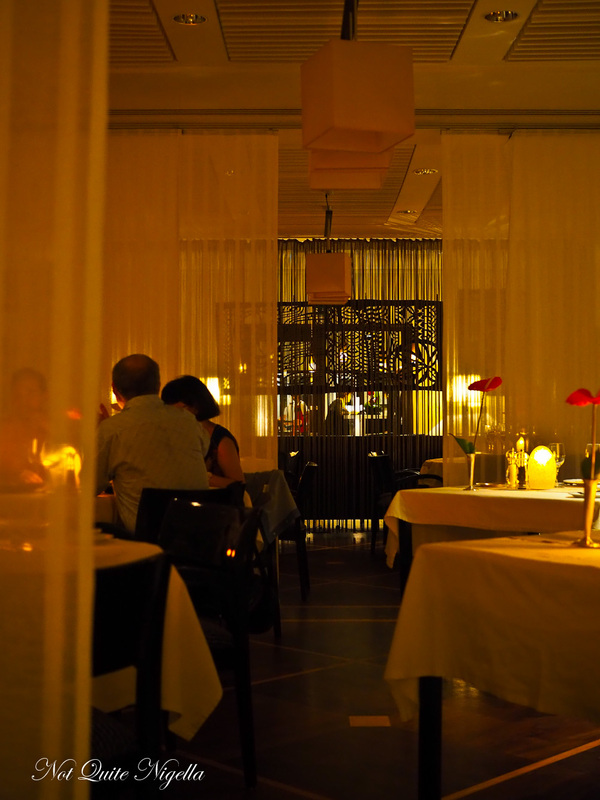 The restaurant is located at the beach level of the Le Meridien resort and is romantically lit. Service is very deferential and accommodating. We take a seat and they bring us a plate of "crispies" aka tiny olive palmiers and fried dim sims topped with chilli sauce. Accompanying this are baskets of excellent wholewheat bread rolls. 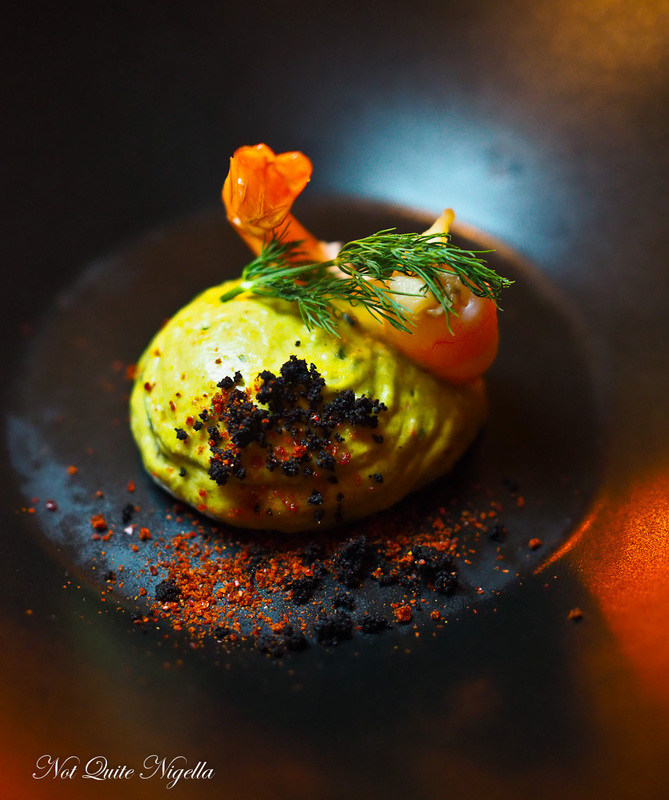 We start with our tasty amuse bouche: smoked prawns atop avocado mousse. 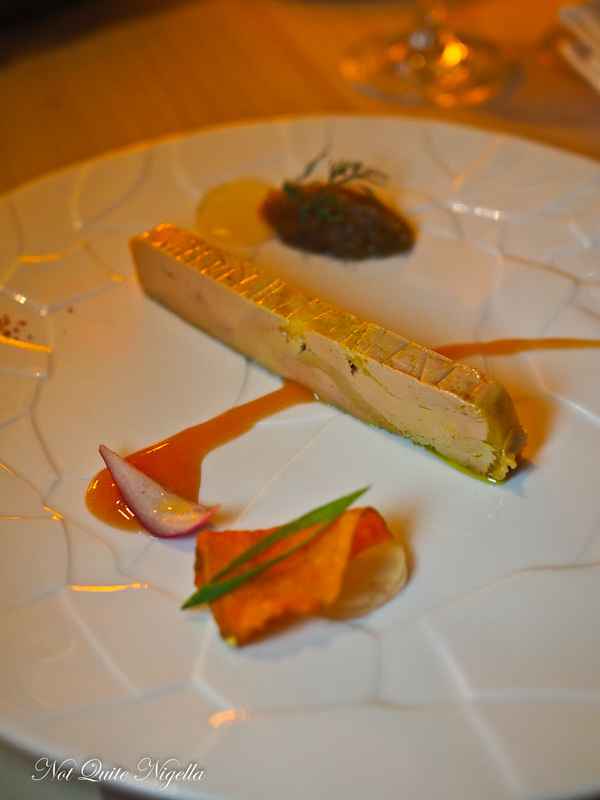 The foie gras is delicious and comes with two slices of brioche. It's very smooth and comes with a quennelle of red onion jam and Armagnac. 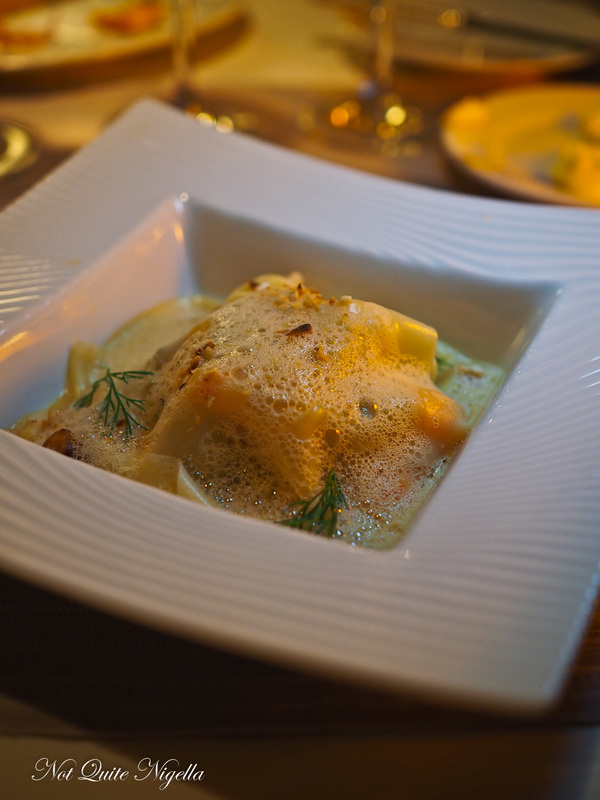 The open ravioli comes with one layer on the base and a top of Thai broth foam. It's filled with a generous amount of local prawns. There's also watercress and roasted hazelnuts. Often you don't see parrot fish on the menu in Australia. It's a colourful, bright blue fish that lives in the tropical waters. 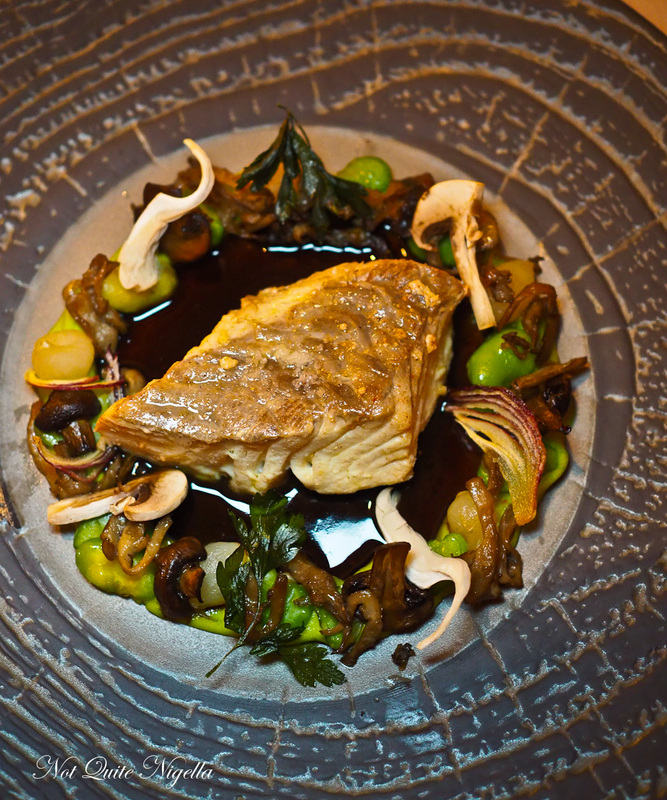 It's also delicious and here it is perfectly cooked in olive oil so it retains a luscious texture and served with forest mushrooms, mashed broad beans, glazed onions and a Yarra Valley Pinot Noir juice. 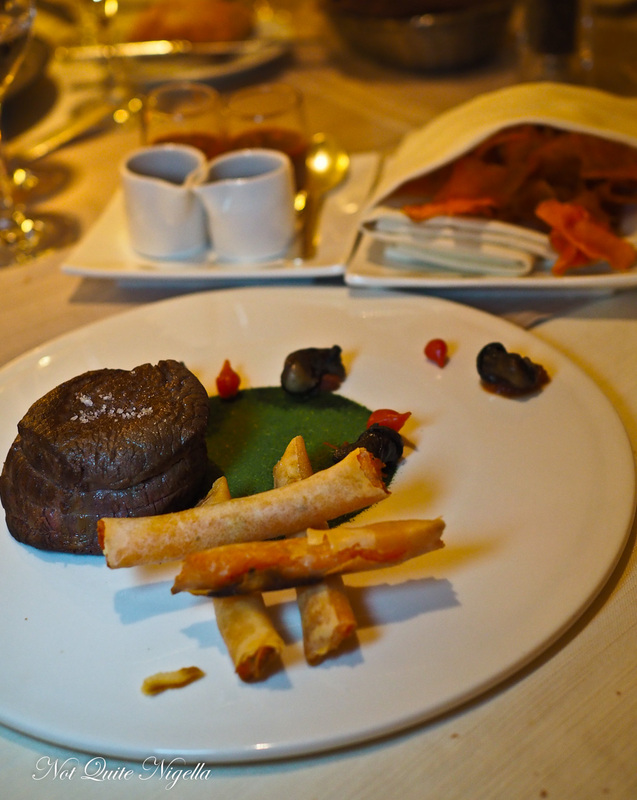 The beef fillet is tender and melts in the mouth and served with snails, some unusual sweet potato stuff pastry "straws" and a spicy Creole sauce. I really wanted to try their version of an After Eight. 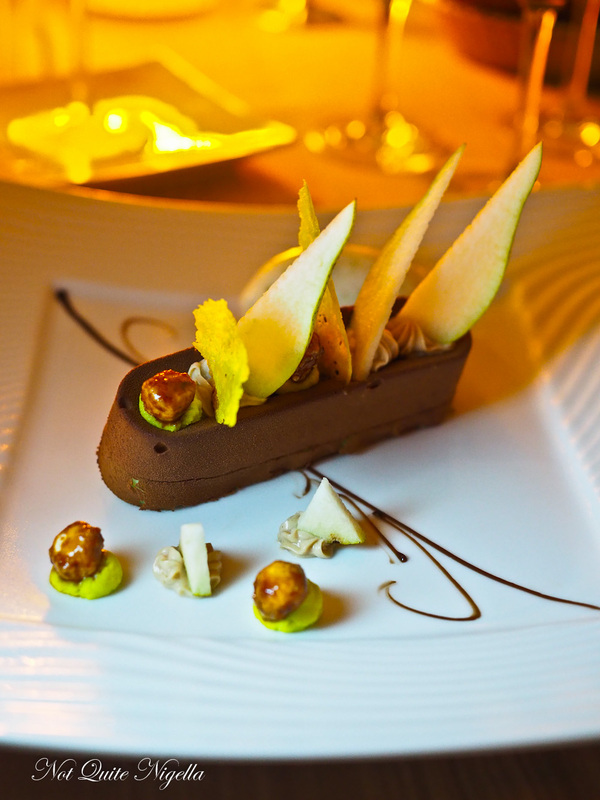 It is a delightful light mint mousse coated in chocolate and a scoop of lime sorbet. The lemon pie revisited is tart and sharp - exactly how a lemon tart should be. 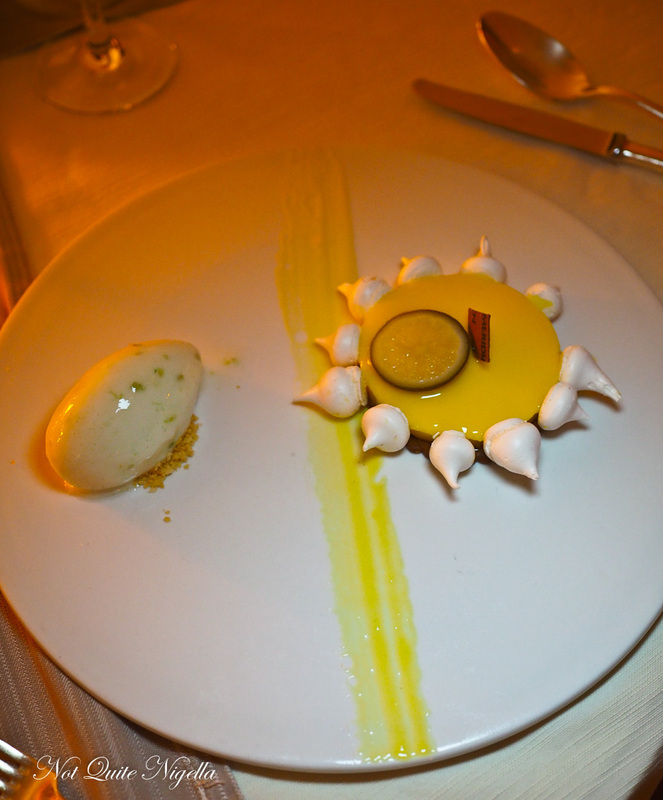 It is served with tart lime sorbet too although I would have loved something a bit creamier to counter the sharpness. Our writer group's last night in New Caledonia is celebrated with dinner by the water. At Le Roof on Anse Vata the view is the main attraction. 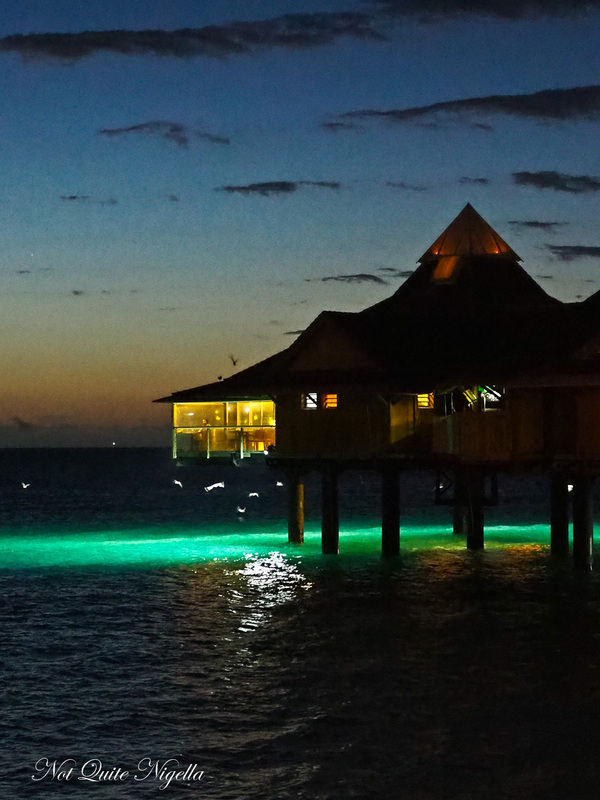 The thatched roof restaurant also has a large square in the centre cut out of it where people can look directly at the ocean below and watch the fish swimming underneath. Our outdoor table along the perimeter affords a view of seagulls swooping in and flying fish skipping across the water. We are chuffed that we finally get to try some New Caledonian oysters. They're largeish shells although the oyster themselves are quite thin. 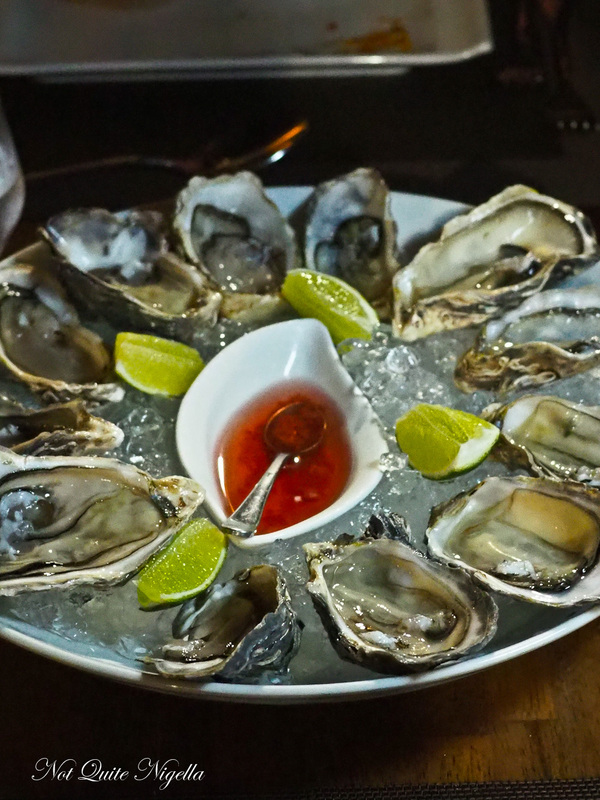 They're probably the sort of oysters that would appeal to those starting on oysters as they have less of the thick, creamy texture. 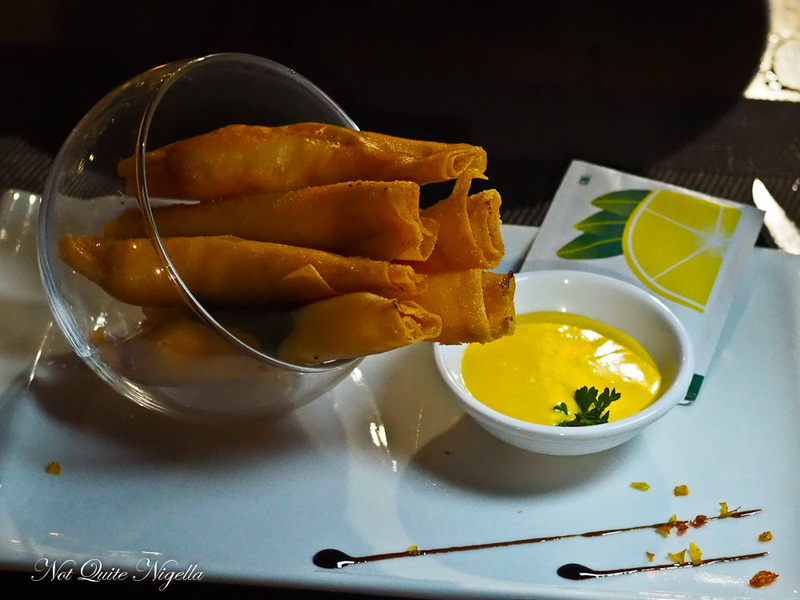 The prawn entree is a whole prawn wrapped in pastry and then deep fried. This comes with mango sauce. It's an easy finger food to eat and share. 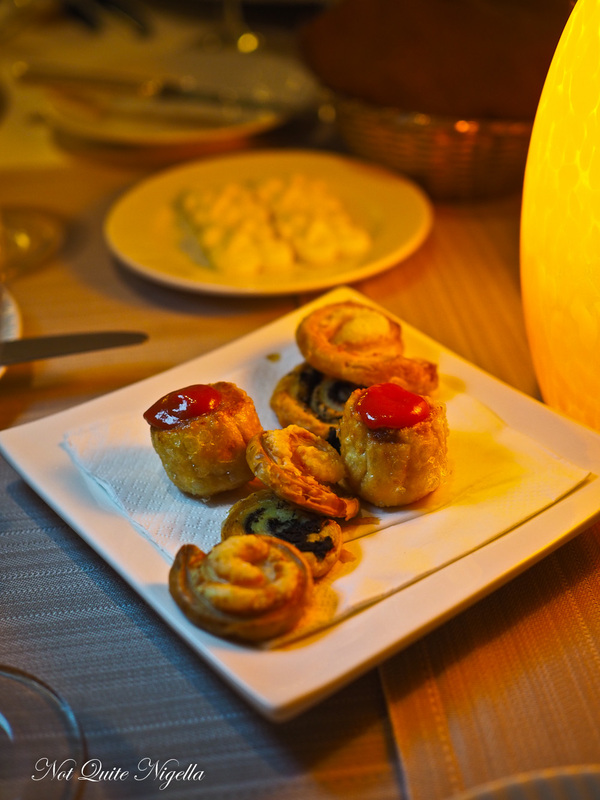 My favourite item of the night is the cassolet of snails served in a little pot with a lid of puff pastry. Mushrooms aren't mentioned but it looks and tastes like there are mushrooms in it. Either that or the snails taste just like mushrooms. 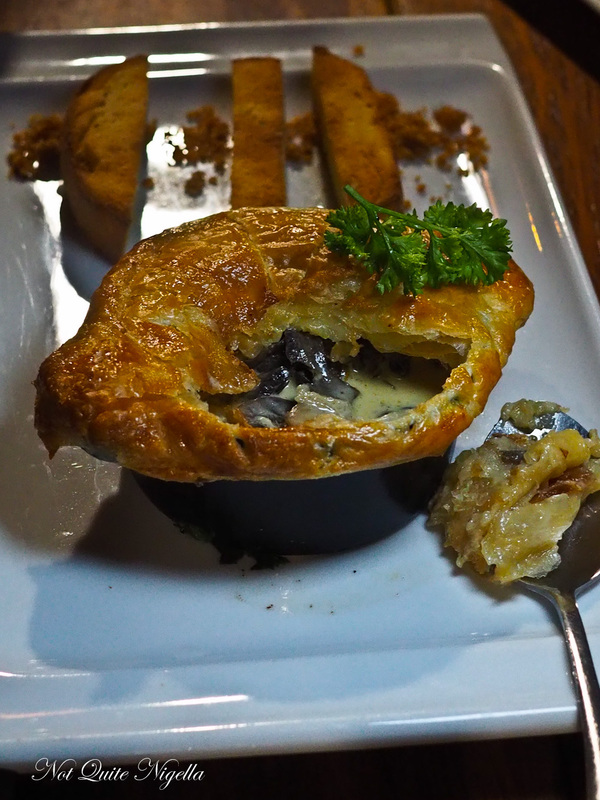 Nevertheless the creamy filling is like a mushroom vol au vent filling. Dessert is thinly sliced bruleed pineapple served with niaouli, mascarpone chantilly that sits in a sesame tuile cup. So tell me Dear Reader, have you been to New Caledonia? Is it a destination that interests you? What did you think of the food here? 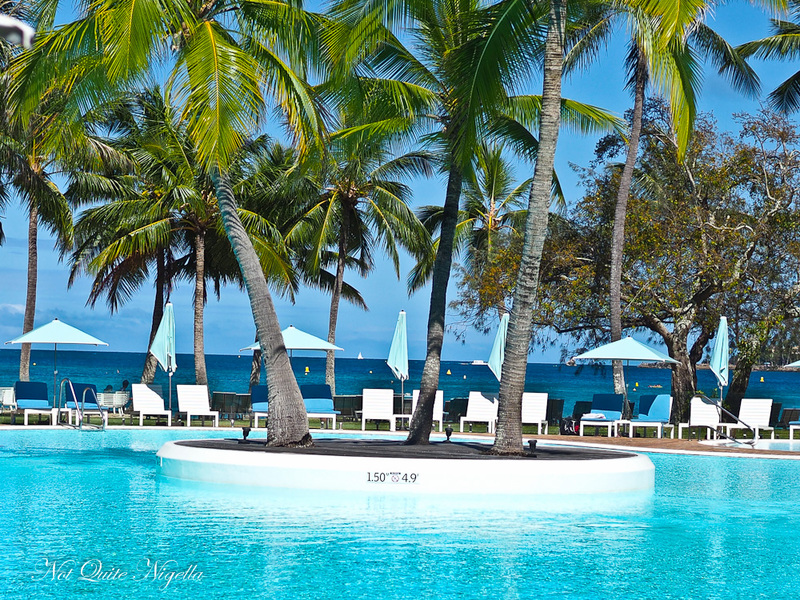 NQN visited New Caledonia as a guest of New Caledonia Tourism but all opinions remain her own.